A conversation with Bill Millerd, the recent Managing Director of Vancouver’s Arts Club theatre. We talk about his beginning in theatre, his tenure and start of the Arts Club Theatre, and where Vancouver theatre has been and is going. We recorded the podcast episode in the dressing room of the Arts Club’s Granville island stage September 13th 2018. Robert McQueen joins us for a lively discussion about Musical Theatre on our first episode of the second season. We talk all about big shows, little shows, how he approaches work, and what is upcoming for him. Join us on From The Pit, as we talk to this fantastic director while in Malkin Bowl in lovely Stanley Park, on the eve of the opening of 42nd Street at Theatre Under the Stars in Vancouver. The last 15 minutes of my interview with Director Robert McQueen. Recorded at Theatre Under the Stars. Part 2 of our conversation with the successful song writing team of Carner and Gregor. In this episode they tell us more about shows they like, influences on their writing and what makes a good musical theatre song. All the song cut heard in this episode are from their CD “Carner & Gregor One” which is available on their website https://www.cdbaby.com/cd/carnergregorone . Join us for more musical theatre talk with Sam and Derek. Sam Carner and Derek Gregor, are a successful contemporary musical theatre song writing team. Their songs have been sung by many artist all over the world, and they have many shows on the go. They were in Vancouver to record some new tracks, and give an intimate concert of their material. Sam and Derek were kind enough to join Christopher in studio to discuss their experiences writing and producing shows, as well as some insight into how they collaborate and compose, Learn more about them and you'll also hear some of the concert featuring some wonderful Vancouver performers on part 1 of this episode of From the Pit. Every musical needs a steady hand at the wheel, a leader that can shape and guide the production through rehearsals and tech and make opening night a success. The director of the show must wear many hats. Sometimes calm, sometimes fierce, sometimes both, but ultimately they must gather the people onboard the ship, and be responsible for the journey and destination. But there are also directors that add choreography to their plates and have to successfully do the work of 2 people in a production. 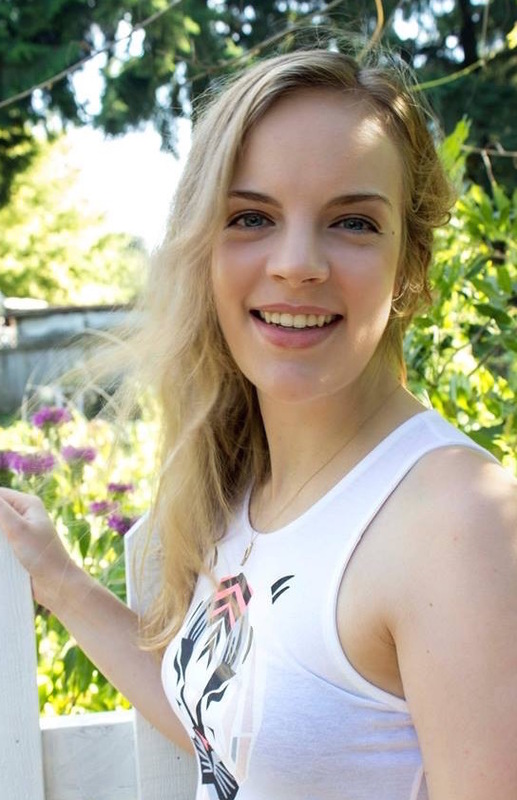 Today on March 27th, World Theatre Day, we talk about this process with one of Vancouver's most well known director/choreographers Valerie Easton. We will talk about the challenges and rewards of directing and choreographing musical theatre, and also talk about her next show "Anything Goes" with Royal City Musical Theatre, where she must literally get the cast onboard the ship and successfully to opening night April 8th. So join us because there's no cure like travel from the pit. During the 40s and 50s, the so-called Golden Age of musical theatre, it was common to hear songs from Broadway shows on the airwaves. These songs were the "pop music" of the day. Audiences would know a Rodgers and Hammerstein tune before they even stepped foot in a theatre, since they were often played on the radio or sung at parties. This, however, is not the case today. The songs of musical theatre, while still popular among many, have not become quite as mainstream as today’s pop music. But there are still many, iconic songs over the years that have made it on to the pop charts and into the popular consciousness. Today on "From the Pit,” we talk about how iconic, pop cross over songs from musical theatre. 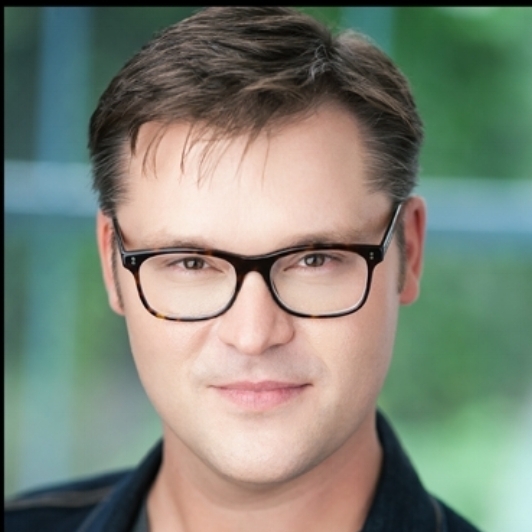 We speak with Peter Jorgensen, a director, actor, teacher and producer of musical theatre in Vancouver, about these questions and many more. So let's see what's popular today… From the Pit. What is the Broadway sound? During the "Golden Age" of Broadway, it was easy to say: Big and brassy, 18 to 25 players at least. But now, money is tight, musical styles have changed, and shows now tour a lot. Money isbeing made by the rights companies like MTI, Tams Whitmark and Sam French renting out the rights to Broadway shows to high schools and local theatre companies. But how can you find the quality of player locally, and money to pay for the orchestra sizes of the past? Most producers just simply don't budget enough and want to spend money on musicians. I think as a music director I spend 50% of my time stressing about how to make the music maintain the original feel and intention by using less then half the allotted players, sometimes even less then that. Some of the rights companies have reductions available for rent for some shows, but they are still too large for many producers to want to use? So we reduce, and reduce and a music director becomes, pianist, arranger and orchestrator all in one, and that's what the public thinks we do now. When we do have to do it, how do we do it? On today's episode my guests and I will discussthese questions and more. So let's reduce the pit… from the pit. It seems like in every city there are production companies popping up everywhere that want to produce shows that speak to them. But not every company has the budget, or space to produce a Broadway size show. In New York the shows that really bring in the audiences are big budgets in big theatres with big casts and big orchestras. In Vancouver there aren't many companies that have large budgets or spaces to produce such big shows. So there is a movement to rethink or reimagine large Broadway shows for the small stage and in some cases just a small room. In Vancouver Studio 58 at Langara College is a well know acting program and they have been successfully staging musicals in their quite famous black box basement theatre for many years. 42nd Street is the next musical opening this February in what is their 51st season of shows. On today's episode we talk to the Associate Director David Hudgins and Artistic Director Kathyrn Shaw about producing musicals in this unique space. We can't all escape the cutting review, but lots of us have had glowing reviews and have felt the elation and validation from the carefully crafted words of a reviewer. But do reviewers make a difference? Should we put stock in the reviews as theatre patrons? Will it help an actor get more work? Less work? On this episode of From the Pit I talk to Jerry Wasserman one of Vancouver's most respected reviewers about these questions and more. Musicals in their current form have been around almost 100 years now, but I still hear people refer to musicals as cheesy, fluffy, always happy. You hear talk of jazz hands in conversation as if it was the single defining dance step. Some actors talk of musical theatre as if it was the illegitimate son of the theatre world. Let's face it... Musicals get a bad rap…But why? On this episode Ryan and I will discuss the status of Musical Theatre in the media and the general public. Join us From the Pit. Musicals are a big undertaking. Big budgets, big casts. So directing a musical must be an equally big task, right? Where do you start? What do you need to do in order to make sure the show is a success? Are they the same as directing a play? On today's episode we talk with Sarah Rodgers, one of Vancouver's busiest and most sought-after directors. We ask her about her process, her directing philosophy, and much more on From the Pit. Auditions… Just hearing the word can cause an actor to break out into a sweat. Nothing gets the heart racing like walking into a big room with scary people staring back at you from behind a long table. We'll offer some tips and share some of our pet peeves to help you get a clearer picture of what it's like at auditions. So grab your number and wait in the hall, because you're on deck! Once a required mainstay of Musical Theatre shows, they aren't as common now, but show still use them. On today's episode… our first show. We discuss the overture. Will it survive much longer, should it continue, does it still have meaning and purpose? My guest and I will discuss this and more about Musical Theatre along the way.